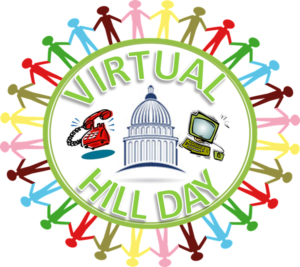 Virtual Hill Day for Perkins Advocates! The Perkins Loan Extension Act of 2017 (H.R.2482/S.1808) – currently has 243 cosponsors in the House and 22 cosponsors in the Senate! We need Congress to do the right thing and extend the Perkins Loan Program while they consider the future of all student aid programs during the Higher Education Act (HEA) reauthorization process. Join your colleagues for a Virtual Hill Day by calling, Tweeting or emailing your Congressional Members to let them know how critical the Perkins Loan Program is to your students, institution or organization and ask them to include a Perkins extension in the appropriations bill. Perkins supporters across the country should contact their Congressional Members in the House and Senate and those in Leadership asking for support for the Perkins Loan Program. This CALL TO ACTION is CRITICAL and can have a Significant Impact! All of the information you need is below! To obtain the phone number for your Senator’s Office, Click Here. For an example script for your call, Click Here. For an example script for your email, Click here. House Education and the Workforce Chairwoman Virginia Foxx (R-NC) and Senate HELP Committee Chairman Lamar Alexander (R-TN) have indicated they are opposed to an extension. In addition to contacting your Senators and Representatives, please reach out to these offices as well. In their role as leaders of the education committees, Chairwoman Foxx and Chairman Alexander should hear about this issue at the national level. To reach Chairwoman Foxx by email, please use the Contact Us form on the House Education and the Workforce Committee website. The Education and the Workforce Committee’s phone number is (202) 225-4527. To reach Chairman Alexander please use the Contact Us form on his website. The Senate HELP Committee’s phone number is (202) 224-5375. You can also contact the House & Senate Appropriations Committee. To reach Chairman Frelinghuysen by email, please use the Contact Us form on the House Appropriations Committee website. The Appropriations Committee’s phone number is (202) 225-2771. To reach Chairman Cochran please call (202) 224-7257. Thank you for supporting Perkins Loans, @BobbyScott and @PattyMurray. We still need your help to #SavePerkinsNow for 500K students by adding an extension on the FY18 funding bill. For further assistance, please email Greg Marak at Washington Partners, LLC.